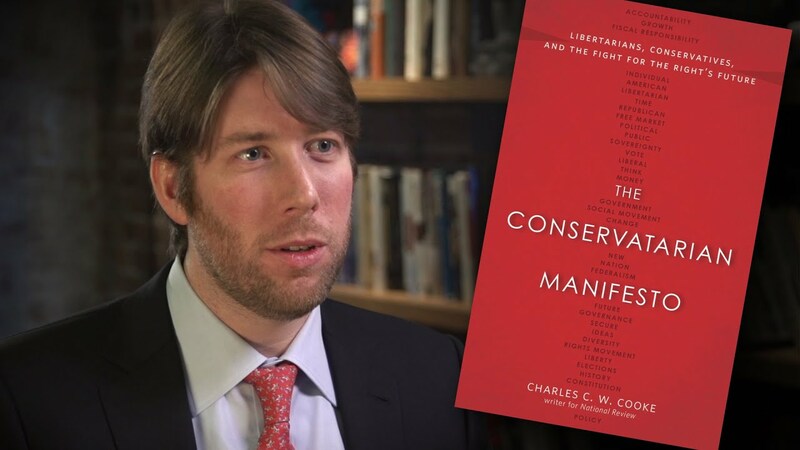 In his new book, The Conservatarian Manifesto, Charles C. W. Cooke proffers a bright and eloquent vision for the future of the political Right – one that recognizes the mistakes of Bush-era centralization, but that maintains a fierce reliance upon the great tenets of traditional conservatism. Of course, the evolutionary process is not so simple, and if one wishes to follow Cooke’s advice for forging a renewed philosophical groundwork, one has to also reject the typical pundit’s lazy predictions regarding the Right’s great, unassailable divide. Accordingly, in its refreshing and lively way, The Conservatarian Manifesto considers a few powerful reasons for doing so: On the one hand, conservatives and libertarians must recognize the importance of their mutual respect for individual rights and limited government; on the other, they must defend the concept of federalism and convince the public that what California does is not necessarily so confining for Texas or North Carolina. At the end of the day, the Right ought to draw comfort from the fact that the political environment with which it is presented is, after the Obama years, ripe for change. The book begins, though, by clearing up some of the stickier misconceptions about political ideology within the American system: While modern liberalism effectively boils down to an ardent belief in centralizing power and in government intervention, conservatism takes the classically liberal tradition and reinterprets it in a twenty-first-century context. Many observers consider this to mean that those on the Right want to keep all sorts of traditions, going as far back as you wish; but as Cooke points out, conservatives want to preserve the radical philosophy of the Founders – not tradition for its own sake, but rather the American tradition specifically because the Constitution does a wonderful job of codifying individual rights and preserving liberty. As such, the importance of federalism cannot be overstated, especially since it may be the key to bringing about a firmer cohesiveness between Republicans, conservatives, and libertarians. With regard to social issues, for example – a conflation that Cooke finds useless because it pretends as if the answers to abortion, gay marriage, and drugs are necessarily the same – federalism means that states can adopt policies that are particularized to the proclivities of their own people, without upsetting too much their friends in adjoining states. It may be true that a conservatarian is most likely to support gay marriage, and to oppose a Drug War that needlessly interferes with the private consumption of goods; but the key is to recognize that if the federal government got out of the way, the states could act as laboratories of democracy in which localism and bifurcation of power are respected. Under such a framework, social issues would not be so divisive, and conservatives and libertarians would be able to unite around a philosophy of returned power to the states. Although a good portion of The Conservatarian Manifesto is dedicated to Cooke’s own views regarding such issues as immigration, foreign policy, gay marriage, and the Drug War, its argument’s ultimate reliance is upon the beautiful notion of federalism. But perhaps the most inspiring takeaway from Cooke’s writing is the way in which it expresses the utter commonality of the Right: It may be difficult to say for sure whether government should recognize gay marriage, but it is easy to see how conservatives and libertarians, alike, love the Constitution. Instead of harping pessimistically about the supposed “great divide,” the media would do well to understand that Rand Paul and Scott Walker both care deeply about individual rights and free markets. And as long as this remains true, the Left ought to be gravely worried, for its vision of equality of outcome will be the Right’s common enemy – its excessive focus on bureaucratic dominance will be the scourge around which, Cooke is confident, the Right will gladly take a stand. A very good piece. This author aught to be commended.